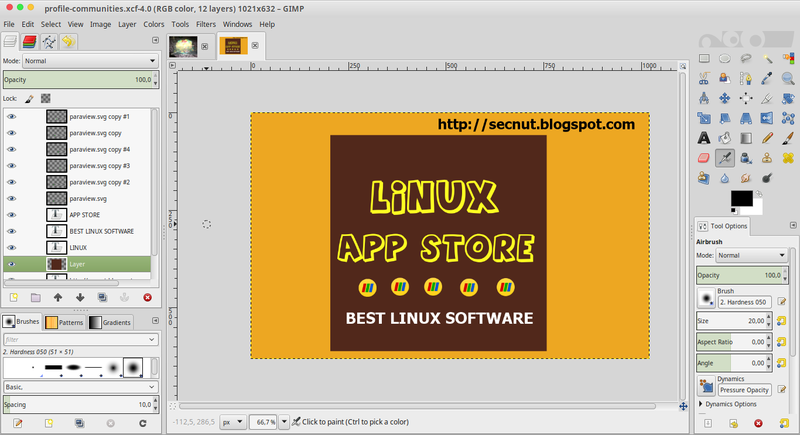 Feree 2d animation software Linux. 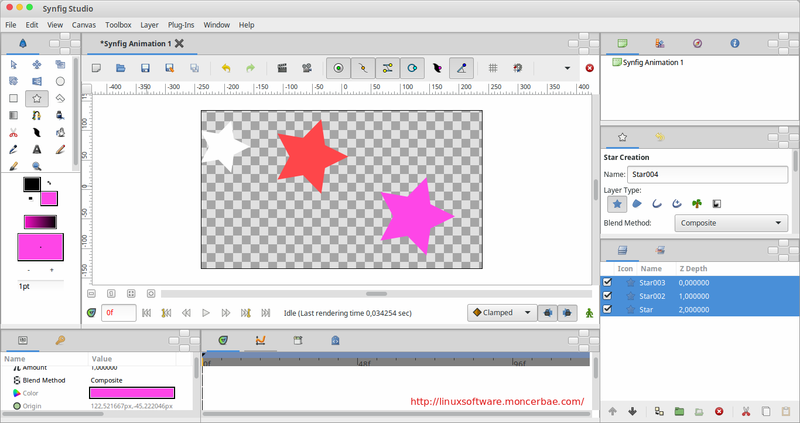 Synfig Studio is the best alternative to Adobe Flash on Linux since Macromedia Flash is sold to Adobe Incorporated. This is the best animation software for Linux and here you will be shown how to install Synfig Studio as the best animation software on Linux. With Synfig Studio you can create frame by frame animation on Linux. Synfig Studio is open-source 2D vector animation software. It is designed to produce film-quality animation with fewer people and resources. Synfig Studio is built to eliminate the need to draw each frame individually. There are two techniques for that: (1) Morphing animation; and (2) Cut out animation. Unlike Adobe Flash which comes with fla, swf file extension for the flash, there is no Flash/SWF support in Synfig Studio. Open Synfig Studio official website, please click here. Click the download button on the website. Select the 32bit or 64 bit of your Linux system. Download it, the downloaded file will be the deb suffix. Full-featured bone system allows to create cutout animation using bitmap images or control your vector artwork. The Skeleton Distortion layer allows to apply complex deformations to bitmap artwork. Synfig have basic features for syncing your animation with soundtrack using Sound Layer. Linux users can get all benefits of full-featured audio editors through the JACK integration. The draw tool can read the pressure sensitivity channel off your favorite tablets, for natural line weighting, and more to come! How to Create Prototype Design in Linux Using Pencil Evolus. Want to design a blue print using prototyping tool for Linux, Mac and Windows? You can use "Pencil" an open-source GUI prototyping tool that's available for ALL platforms. You can easily grab a collection and install it into Pencil with a simple drag-and-drop operation. The list of built-in collections now includes general-purpose shapes, flowchart elements, desktop/web UI shapes, Android and iOS GUI shapes. Pencil now supports connectors which can be used to "wire" shapes together in a diagram. 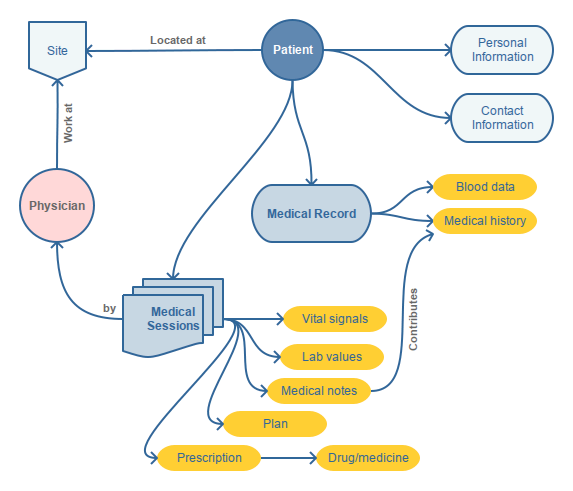 A collection of flowchart shapes are also available for drawing diagrams. You can have your drawing exported as a set of rasterized PNG files or as a web page that can be delivered to the viewers. 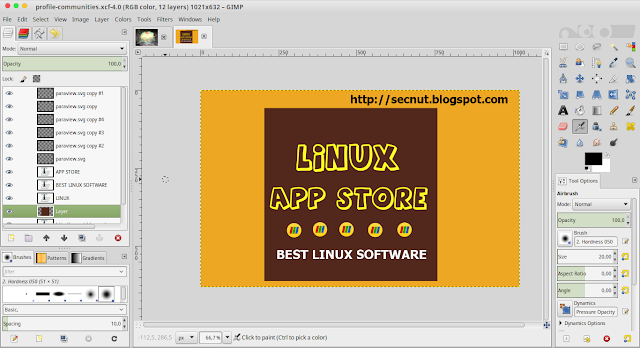 Open Pencil website click here, and choose "see all linux distributions"